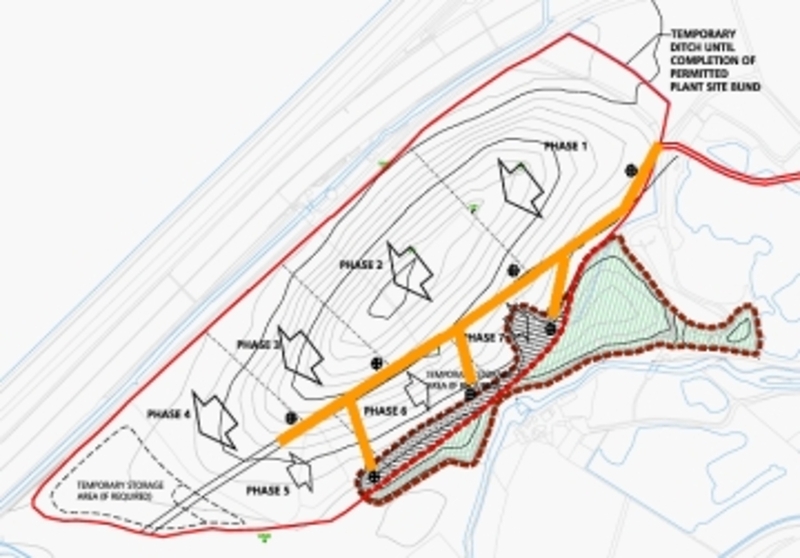 Southdowns was commissioned to provide an environmental noise assessment to support a planning application to apply a clay cap to the existing landfill at the Hithermoor Quarry site at Stanwell Moor. The landfill had been restored principally to arable land but specialist geotechnical engineers had determined that there was no engineered cap currently in place. On this basis, Brett was applying for consent to provide an engineered clay cap requiring significant clay importation. Whilst the project was deemed to not require formal Environmental Impact Assessment by the local planning authority, various reports were required to support the planning application, including a noise report. 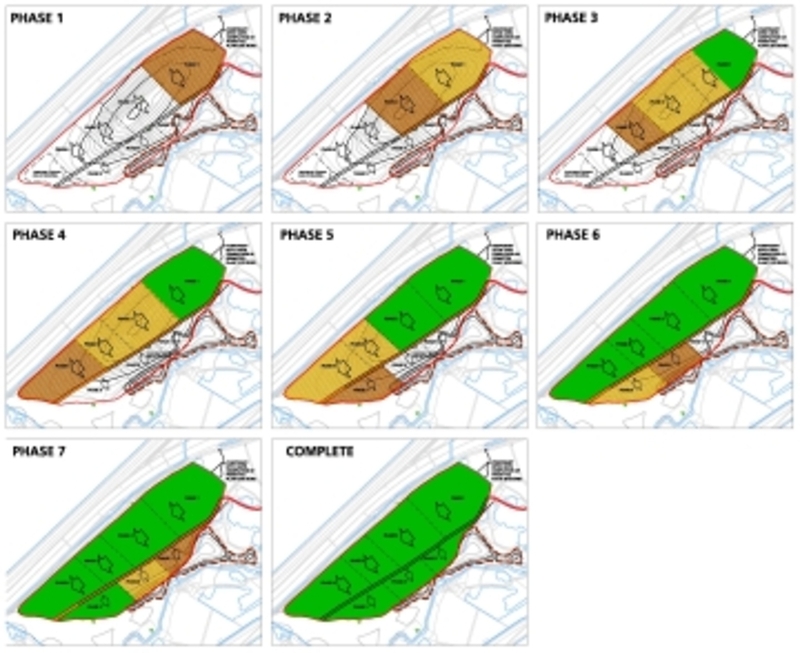 This report was required to assess the effects of construction plant spreading and compacting the clay on the landfill on the residents of properties situated to the east in the village of Stanwell Moor. In addition to this, due to the significant numbers of HGV movements required to move the clay from source at Heathrow Terminal 2 to the landfill site, the offsite road traffic noise impacts were also assessed. The criteria used for the clay capping activities were contained in Annex 2 of Minerals Planning Statement (MPS) 2 – Controlling and mitigating the environmental effects of mineral extraction in England and Surrey County Council's own guidelines for noise control for minerals and waste disposal; noise change was used to assess the offsite traffic noise impacts. The findings of the noise assessment were that neither the onsite plant activity nor the offsite traffic impacts were significant and hence the noise effects were considerable reasonable. Figures 1 and 2 below provide details of the phasing of works and plant location assumptions. In addition to the assessment of works to the landfill site, further work was commissioned to assess proposed changes to a bund around a proposed plant site. 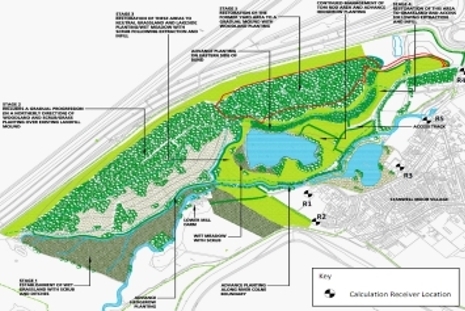 Permission had been granted to Brett to construct a bund along the western boundary of the plant site at Hithermoor Quarry. The permitted bund consists of a 2m high earth bund with a 3m high fence installed on top to visually screen the plant site from the M25. 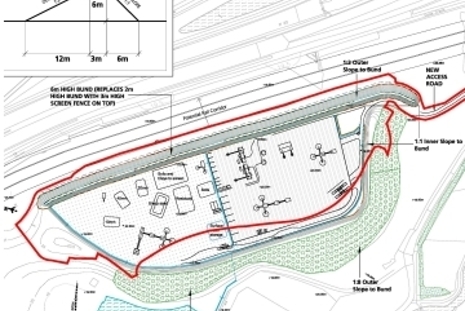 Subsequent to permission being granted by Surrey County Council (SCC) for the construction of the bund, the client had reviewed the bund proposals, and considered that the fence could be exposed to undesirable wind loading effects which could damage the fence. 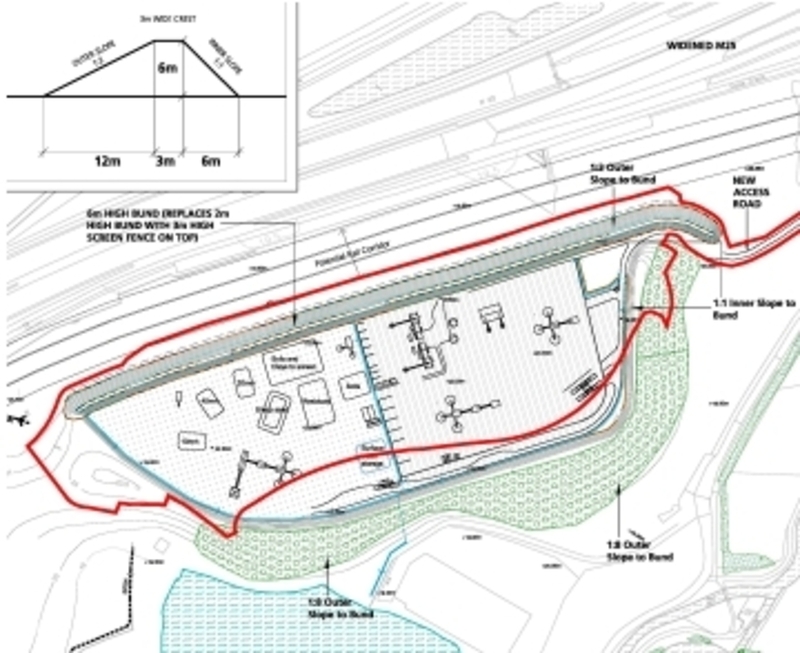 The client therefore revised the bund proposal and proposed to increase the height of the earth bund to 6m, precluding the requirement for any fence. The increased height will also provide visual screening to the 6m material stores within the plant yard. 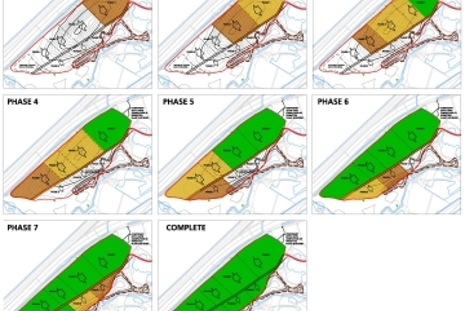 Southdowns was therefore appointed to assess the noise effects of plant activity to increase the bund height and cumulative effects associated with the works to the clay cap on the landfill site. 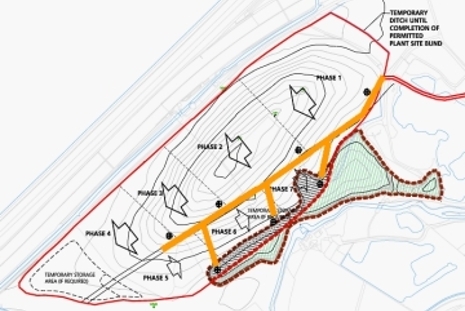 This was also following a previous noise assessment that determined whether the attenuation provided by the bund was sufficient to protect the properties on the western side of Stanwell Moor from adverse noise effects associated with the operation of the plant site. The findings of the assessment were that noise from both the direct and cumulative works did not exceed either the MPS 2 or county criteria.